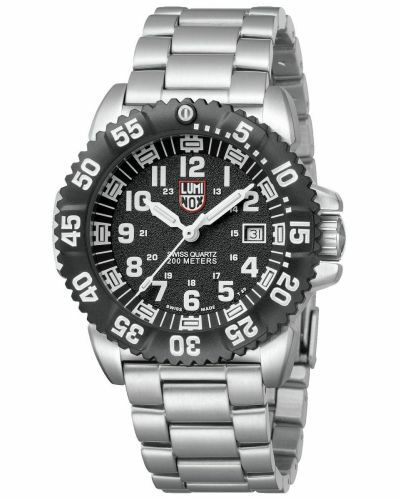 From the Luminox Navy Seal Steel Colourmark 3150 Series comes the Swiss Made XS.3151. With durable black rubber strap and brushed stainless steel casing housing a quartz movement, this piece is perfect for any adventurer. The black textured dial displays the date function and bright white luminous indexes alongside the unmistakable Luminox logo and water resistance of 200 metres thanks to it's double gasket crown. 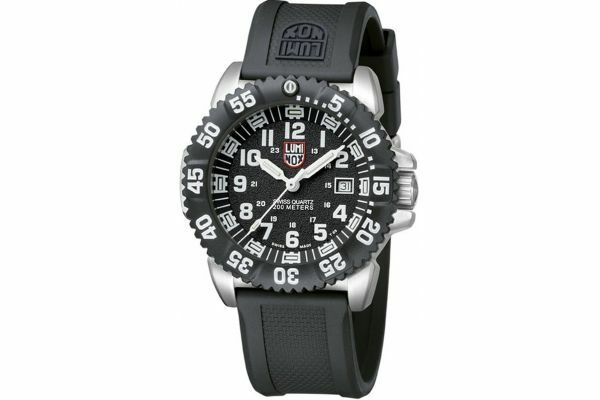 This Luminox watch has a 2 year guarantee. 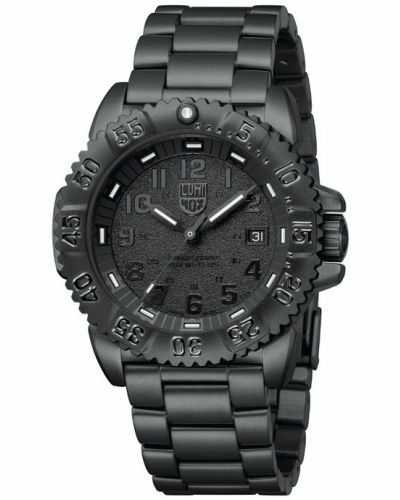 Luminox offer a 10 year warranty on its illumination technology system utilised in some models. For us to size your new Luminox 3100 Series watch as accurately as possible, please take a look at our downloadable Watch Sizing Guide.